This is your chance to win £20,000 cash, a MINI Cooper 3-Door Hatch LCI and a gadget package that includes Apple, Beats and Nintendo goodies in this TV competition from ITV’s The Voice Kids edition. Prize: £20,000 tax-free cash, a MINI Cooper 3-Door Hatch LCI and a gadget package that includes Apple, Beats and Nintendo goodies. Phone Instructions: [Instructions]Dial [0000 000 0000]. Each call will cost £2 plus your network access charge. SMS Instructions: Send SMS with the text “WINNER” to 65433. Texts costs £2 plus one standard network rate message fee. If you do not want to receive SMS marketing texts about similar products and services, add NO INFO at the end of your text entry eg “WINNER NO INFO”. Postal Instructions: Send your Name and a full contact telephone number to TVK 18, PO Box 7558, Derby, DE1 0NQ. Other Competition Information: Multiple entries to the prize draw are permitted. 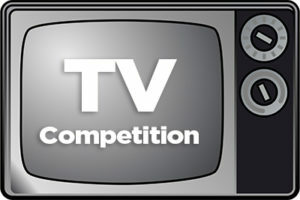 These are explained in the detailed terms and conditions on itv.com/comps individual competition page. Winners are usually drawn 1 week after the final closing date. With these competitions there are usually a small number of runners up prizes of around £250. Please see the competition promotor website for full T&Cs.